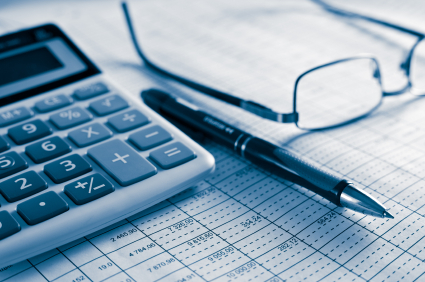 Accounting remains one of the most popular college majors, in large part because it offers a number of stable and lucrative career opportunities. Businesses, both large and small, rely on certified accountants to keep them productive, successful and in the black. Accountants are always in demand, and students pursuing accountancy as a profession will find that they have a wide range of employment possibilities ahead of them. A degree in accounting can provide a very good career, but like all professional degrees it requires a sizable investment of time and money. Most students will need to rely on some form of financial aid in order to successfully complete a degree program in accounting. Fortunately, there are many lucrative scholarship programs designed to help students pursuing degrees and careers in accounting to reach the professional goals. Accounting scholarships are primarily supported by private and professional organizations, as well as colleges and universities with dedicated Schools of Business. The private sector is a prime source for accounting scholarships, and many professional organizations offer financial assistance to accounting majors at every level of their college career. Undergraduate and graduate students will find that the private sector offers a wide variety of scholarship opportunities designed to help them complete their education. Post graduate students will also find that many businesses and professional associations offer fellowships and research grants to help them complete their doctoral studies. Accounting scholarships from the private sector are primarily merit-based, and will only be available to students with solid academic histories. The following examples of scholarships for accounting majors are typical of what can be found in the private sector. The National Society of Accountants Scholarship Foundation offers annual scholarships to undergraduate students pursuing a degree in accounting. Approximately 40 scholarships are awarded every year. Applicants must be an accounting major enrolled in an accredited two-year or four-year college, and must have a minimum GPA of 3.0. Final awards are determined on the basis of academic achievement, leadership potential, and financial need. The Financial Women’s Association of San Francisco is dedicated to the advancement of women in the world of business and finance. The association awards more than a dozen scholarships every year to San Francisco Bay area women who are pursuing a degree in accounting and financial services. To be eligible, students must be enrolled at an accredited Bay Area college or university, and must have a minimum 3.4 GPA. Current award amounts are $5000 for undergraduate students, and $10,000 for graduate students. The American Institute of Certified Public Accountants offers a number of scholarships for both undergraduate and graduate students. The AICPA Scholarship for Minority Accounting Students provides up to $5000 per year in scholarship funds to ethnic minorities pursuing degrees in accounting. The AICPA/Accountemps Scholarship provides a one time award of $2500 to outstanding accounting students who demonstrate the potential to be leaders in the CPA community. The AICPA John L. Carey Scholarship is a one time award of $5000 available to graduate level accounting majors. All of the AICPA scholarships are awarded strictly on the basis of academic merit. The National Association of Black Accountants offers annual scholarships to African-American students who are pursuing degrees in accounting at an accredited college or university. Applicants must be student members of the NABA, and must demonstrate the requisite level of financial need. The maximum annual award is $10,000. The Association of Latino Professionals in Finance and Accounting offers annual scholarships to Hispanic-American students pursuing careers in finance, accounting and business. Applicants must be of Hispanic heritage, and must be enrolled in an accredited college or university. They must also have a minimum GPA of 3.0. Award amounts vary, and are determined by course of study, and status as an undergraduate or graduate student. In addition to programs supported by the private sector, accounting majors can also find a number of lucrative scholarship opportunities provided by their college of attendance. Many universities offer financial aid for students enrolled in their Schools of Business. Interested accounting majors should speak with their financial aid advisers and department heads for information on possible scholarships for which they may be eligible. The following examples should give accounting majors an idea of the types of scholarship programs that may be available through their college or university. California State University at Long Beach administers the Frank L. Greathouse Government Accounting Scholarship. Applicants must be full time accounting majors pursuing a career in state and local government finance. Applicants must be recommended by their department head or academic adviser. The maximum award amount is $5000. The University of Missouri – St. Louis offers a wide variety of scholarships for both undergraduate and graduate students enrolled in the University’s accounting and business programs. More than 25 scholarships are administered by the University, with awards ranging from $700 to $2500. Florida International University sponsors a variety of scholarships for students enrolled in their Business School. Both the Accounting General Scholarship and the CBA General Scholarship are available to undergraduate and graduate students majoring in accounting. Awards are solely based on academic merit. The Deloitte Scholarship is available to African-American students majoring in accounting. Awards are based on academic merit and financial need. The Randy Green Memorial Scholarship is offered to accounting majors pursuing careers as CPA’s. Priority is given to South Florida residents with a 3.4 GPA or better. The College of Business at Illinois State University sponsors a number scholarships for accounting and business majors. The Nims Associates Award and the Outstanding Accounting Student Scholarship are available to accounting majors with a minimum 3.0 GPA who are currently enrolled full time in the University’s College of Business. Award amounts vary. Accounting can be a lucrative career choice that can lead to a wide range of professional opportunities. With the right scholarships, accounting majors can find the money they need to complete their education, and take their place in the professional business world.